But I’m skipping ahead. Not everything about September was terrible. This is a post about some sounds that made my soul sing and, if you’re quick off the mark, you can experience something similar, wherever you are in the world. 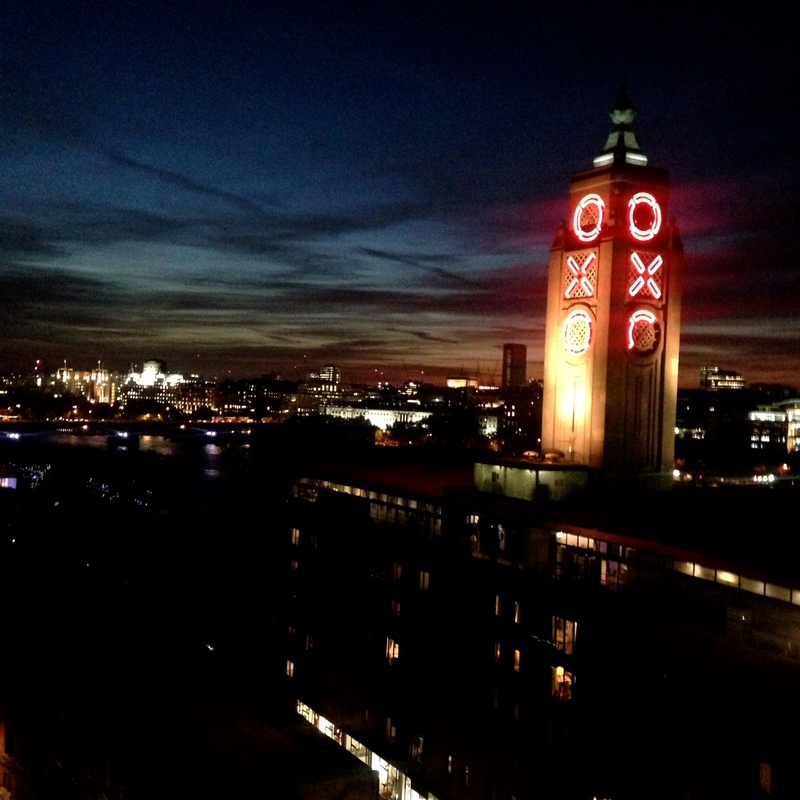 From the bar of an otherwise off-limits night time venue, I saw the city through a new lens. 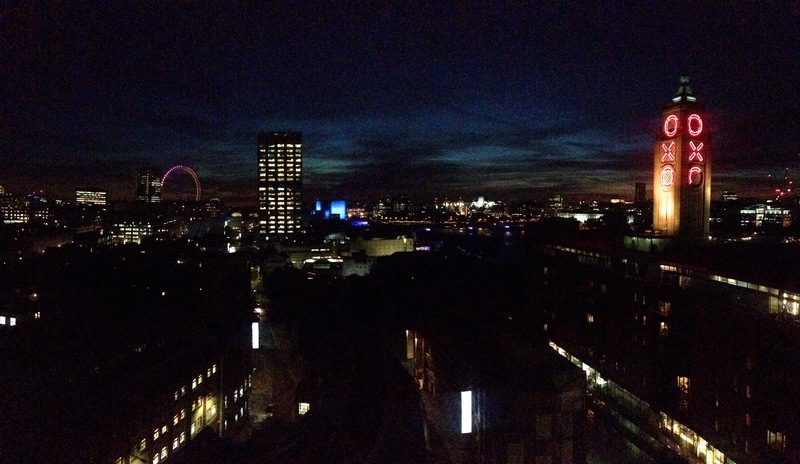 From left to right London landmarks bathed in artificial light provided a postcard perfect backdrop for my first Sofar Sounds gig. 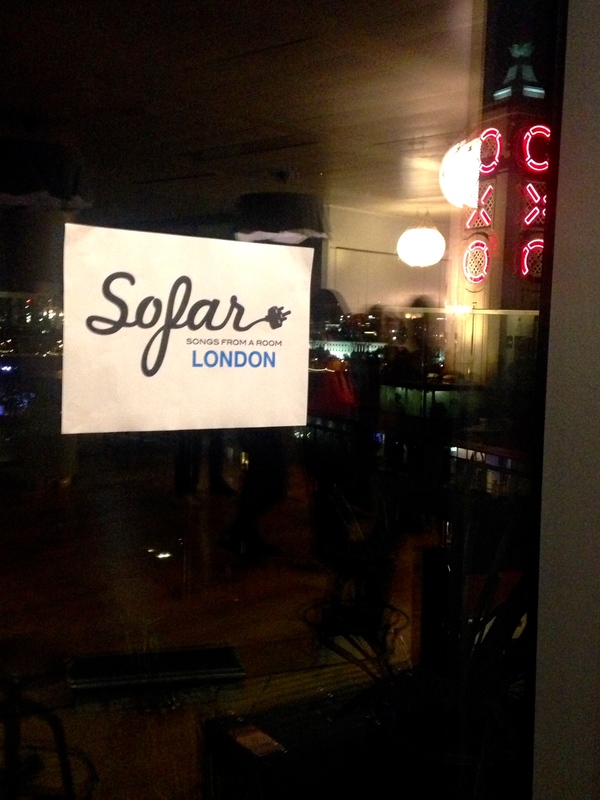 The idea behind Sofar Sounds is a simple one. The strapline of ‘Songs from a Room‘ allows the listener to kick back and enjoy an intimate gig, sometimes in a swanky venue or in the living room of a stranger’s house. You don’t find out the venue or its exact location until 24 hours before the event and I have to say, my excitement at the big reveal, pinging into my inbox, was palpable. In an increasingly digital age, it was refreshing to turn up to a gig and be told filming was off limits as we sat around We Work‘s South Bank office bar on blankets and cushions enjoying wine in plastic cups we’d brought from home. I first heard about Sofar Sounds when one of my favourite bands from back home posted on Facebook that they were playing a secret gig in London but sadly it was sold out by the time I went to sign up. Intrigued nonetheless I decided to sign up for a gig within easy access to where I worked and roped in my friend Nat for the ride. Not wishing to be bitten by the bug of missing out a second time round I opted to pay £12 up front to guarantee my name on the list but those of you wishing to live a little wilder can sign up to be emailed the day before the gig if there is still space. Then just pay what you think the gig is worth when you arrive. The team at Sofar don’t believe in pitching bands against one another so there are no headline acts and you only find out who is playing when they take their place on the stage. Big names like Hozier and Maverick Sabre have played with relative unknown names and each act gets the same amount of time to play. I like that. We were treated to three rounds of aural pleasure from bands who were all new to me at the time but who have now become playlist go-tos. Artists play original works and there’s also the option to play a cover of a song the audience may have heard before. First up was singer songwriter Wayne Gidden. With a voice like velvet he encouraged a fair amount of singing along, ooh-ing and aah-ing with some rhythm clapping thrown in for good measure. It was pretty joyous. Next up was another talented singer songwriter from Dalston by way of Yorkshire but the name of HD Hausman. Think the voice of Nick Cave meets the storytelling of Seasick Steve. It was hard to believe his Sofar debut was also his first gig and he totally nailed it. Last but by no means least came a trio of music makers from the normally 4-man strong Flags. Hitting a home run as the final act of the night, their cover version of Chris Isaak’s Wicked Game brought the house down rounding off the best way I’ve found to spend a Tuesday evening. 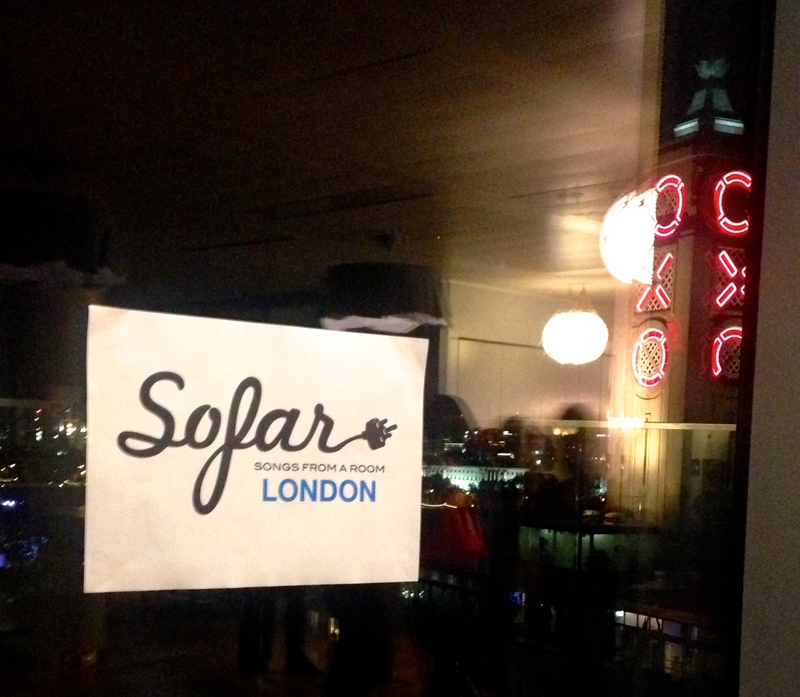 Check out Sofar Sounds’ website for gigs happening near you. While you’re at it check out Flags: ‘This Old House’.